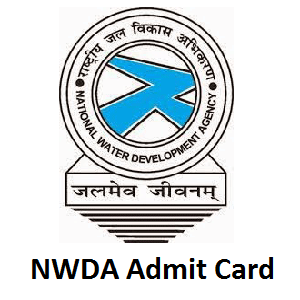 NWDA Admit Card 2019 Is Out…!!! For JE, LDC, Junior Accountant, and Stenographer posts. As you all know that the National Water Development Agency (NWDA) had released a notification to fill the 73 Junior Engineers (JE), Lower Division Clerk (LDC), Junior Accountant, Stenographer Posts. In the below sections, we have also provided the NWDA Exam selection process, documents required and how to download NWDA admit card 2019 details. Furthermore, the NWDA Exam Date 2019 is Clearly Mentioned On Admit Card 2019. The NWDA JE, LDC, Steno, JA Hall Ticket 2019 can be downloaded only from the official site of National Water Development Agency @ nwda.gov.in or through the link attached below. Are you ready to attend the NWDA Junior Engineer Examination? Then you must carry your NWDA LDC Admit Card 2019 along with you while appearing to the Online Test. All the candidates are requested to carry some important documents to the exam center. You can carry any one of the below provided government identity proof for security reasons. The National Water Development Agency (NWDA) higher authorities had released a notification to fill the 73 Junior Engineers (JE), Lower Division Clerk (LDC), Junior Accountant, Stenographer Posts. The interested candidates can apply for this recruitment process. First round for all the categories is to attend for the Computer Based Online Test. Have you got the NWDA Jr. Engineer Hall Ticket 2019? Then immediately your job is to check the details present in it are correct or not. If not correct bring it to the notice of higher officials of NWDA. Candidates who are attending the National Water Development Agency LDC Examination must carry their NWDA Jr. Engineer Hall Ticket along with them. For downloading that NWDA LDC Admit Card 2019 we had mentioned some important steps. Competitors can go through these steps for easy downloading. Firstly, applied candidates must and should visit the official site of the National Water Development Agency (NWDA). NWDA official site @ nwda.gov.in. You will get the home page of the National Water Development Agency on the main screen. In that home page move to the What’s New section. Now in that section, search for the NWDA LDC Admit Card 2019 link. You will get a login page. In that page fill the details like Registration number and Date of Birth etc. Recheck the details and hit on the submit button. You will get the NWDA Hall Ticket 2019 on the new page. Download the Admit Card in the given format. Then take the print out of the NWDA LDC Admit Card 2019 and carry them along with you for further process. Our team had provided the complete details about the NWDA Admit Card 2019 in this article. Moreover, we advise you to keep in touch with our web portal Freshers Now for more updates about the NWDA Jr. Engineer Hall Ticket. If any doubts regarding this article you may contact us using the below comment section.